At Monterey County Eye Associates, we offer a full range of ophthalmology services for a variety of conditions, including presbyopia. Presbyopia, like taxes, is one of those things that, while it may not be pleasant, simply come along with being an adult. It cannot be cured, and it cannot be avoided, setting in for most people at around the age of 40. One day, you’re laughing at the person on television who has to hold a menu at arm’s length in order to make out the small print, and the next day - well, you are that person. For many people, presbyopia seems to strike just that suddenly. However, its onset actually produces symptoms even though they may be subtle at first. Although there may be no cure for presbyopia, there are highly effective treatments that can be discussed as soon as you recognize and seek diagnosis of your presbyopia symptoms at our Monterey, CA eye care center. Dr. Del Piero and Dr. Leland Rosenblum can discuss your options with you in detail and help you decide on the best solution in your particular case, given your goals, your lifestyle, and your vision correction needs. 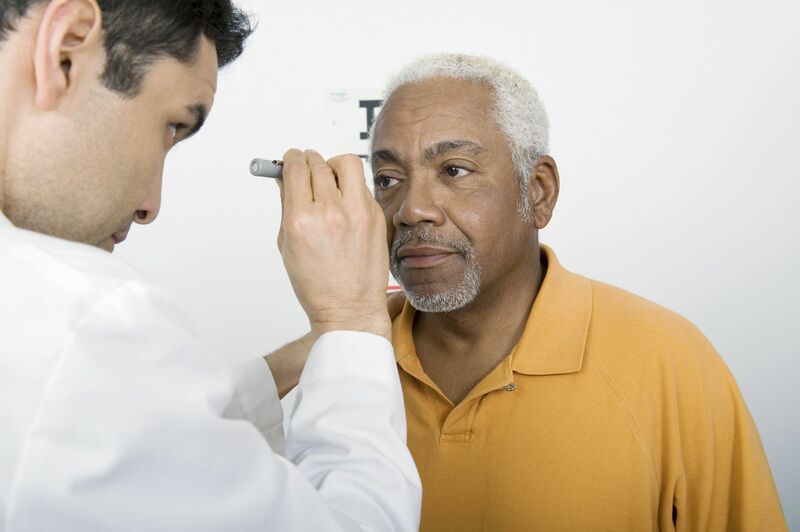 If you have presbyopia, or are experiencing any of the symptoms detailed in this blog post, and you would like to learn about your possible treatment options, please contact Monterey County Eye Associates today. Although presbyopia shares some symptoms with hyperopia, or farsightedness, the two conditions are not related, let alone the same. Presbyopia is a condition of the lens and has nothing to do with the cornea, per se. Hyperopia is caused by a flaw in the shape of the cornea, and it has nothing to do with a person’s age. What Are the Most Common Symptoms of Presbyopia? There are both surgical and non-surgical solutions available to treat presbyopia. We can help you find the best possible solution in your case. To learn more about presbyopia symptoms and the available treatment options for presbyopia, please contact Monterey County Eye Associates to schedule your initial consultation today.